While regularly exercising over the course of decades is a great way to live longer, a US study suggests that even people who don’t start working out until middle-age may see similar longevity benefits. 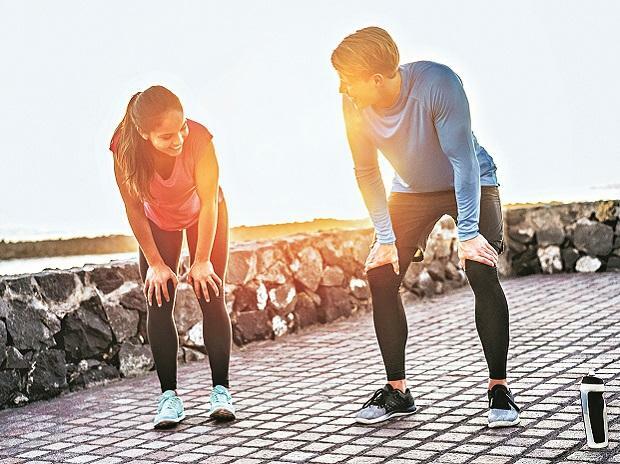 Compared to people who were inactive throughout their lives, participants who reported consistently high levels of exercise from youth through middle age were 36 per cent less likely to die of any cause during the study period. But the benefit was similar when inactive people got moving only when they were between 40 and 61. When previously sedentary people started exercising in middle age, they were 35 per cent less likely to die of all causes during the study than if they remained inactive. “We were very pleased to see that individuals who increased their exercise participation only later in adulthood still enjoyed the health benefits associated with exercise participation,” said study leader Pedro Saint-Maurice of the National Cancer Institute in Bethesda, Maryland. Overall, about 56 per cent of participants consistently exercised throughout their lives. Another 31 per cent started strong but tapered off over time; and 13 per cent were inactive early in life but got moving later on. Compared to people who were always inactive, participants who consistently exercised were 42 per cent less likely to die of heart disease and 14 per cent less likely to die of cancer, the study found. When people started out inactive but got moving later on, they were 43 per cent less likely to die of heart disease and 16 per cent less likely to die of cancer than if they remained sedentary. “The take-home message is that physical activity is important for a healthy and long life,” said Per Ladenvall of the Institute of Medicine, Sahlgrenska Academy at Gothenburg University in Sweden.